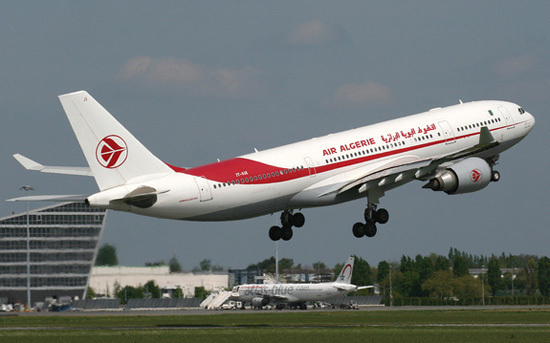 The final report on a 2014 Air Algerie airliner crash that killed 116 people, released on Friday, said the accident was largely due to the pilots failing to activate the plane's anti-icing system. The McDonnell Douglas MD-83 crashed in the desert in northern Mali in bad weather, barely half an hour into its flight from Burkina Faso's capital Ouagadougou to Algiers, killing everyone on board. France bore the brunt of the tragedy with 54 dead - nearly half of the victims - and in some cases, whole families wiped out. Presenting the report by investigators from France's BEA civil aviation authority in Bamako on Friday, Mali's Transport Minister Mamadou Hachim Koumare said engine pressure sensors had become blocked, seemingly by ice crystals, and the crew did not turn on the anti-icing system. "The blocking of the sensors disturbed the operation of the engines, restricting the power to a level where the plane was unable to continue its flight at cruising altitude," Koumare said. Koumare said the investigation had faced problems, particularly with accessing information from one of the plane's flight data recorders, which limited the analysis of the crew's behaviour during the flight. In April last year the BEA - which was invited to help with the probe by the Malian authorities - said that data showed that as they got into difficulties, the pilots did not attempt a manoeuvre to pull the plane out of a stall. A French judicial probe last year, reported by Le Figaro newspaper, also pointed to other factors behind the crash, including the pilots' lack of experience flying in African weather conditions. The crash in July 2014 was the third fatal incident worldwide in the space of just eight days, capping a disastrous spell for the aviation industry. It followed the shooting down of a Malaysia Airlines plane in restive eastern Ukraine, killing all 298 people on board, and the crash of a flight in torrential rain in Taiwan, with the loss of 48 lives.